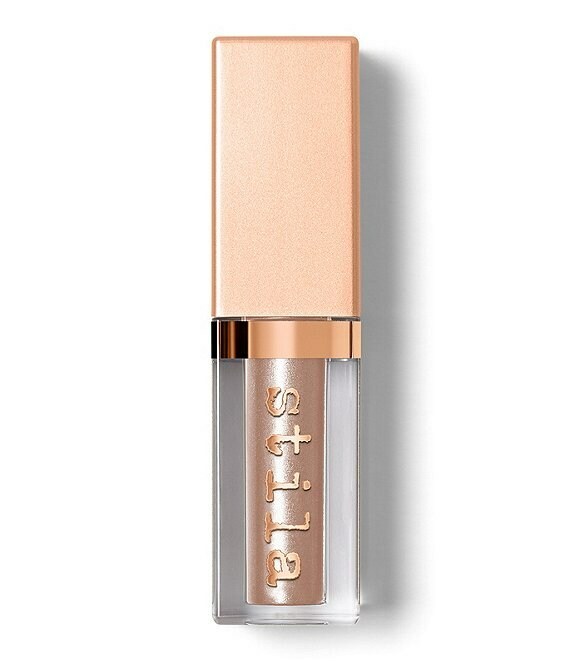 Glisten and gleam with Stila's NEW Shimmer & Glow Liquid Eye Shadow—rich, beautiful color with a high-shimmer sheen, minus the glitter! The pearl-packed translucent base offers versatile wear: apply a sheer layer for day, or add a layer for nighttime drama. A truly unique formula—over 40% water gives a barely-there, refreshing feel and smooth color laydown. The non-tacky, non-transfer, adhesive base means minimal fallout—no primer needed! ​Small particle pearls create a high-shimmer finish. How to Use: Apply to lid and blend using your fingers or a brush. Wear alone or over eye shadow. In case of eye irritation, discontinue use of all eye cosmetics and see your ophthalmologist at once.